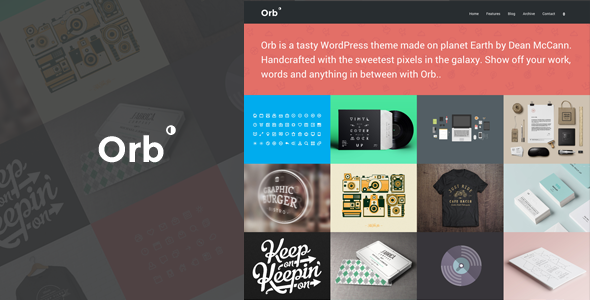 Orb is a neat grid style portfolio and blog theme for the creative. A truly flexible theme that can be used as a unique portfolio or straight up as a blog on its own. Orb comes with three easy to configure grid style portfolio templates and a custom post type plugin for easy management of all your stuffs. Naturally responsive, Orb performs beautifully on handheld devices, as well as your desktop. Built from the ground up with an intuitive mobile menu, streamlined blog and 8 page templates. Orb was made with love, handcrafted to perfection and is ideal for showing off your work, words and all those bits in-between.